The late designer set the sleek and brightly colored fashion template for a generation of striving women. Kate Spade, who towered over the fashion industry for a quarter-century, perfected a style that was at once sharply contemporary and decidedly retro, elegantly understated yet cheerfully exuberant. It was an aesthetic, as she once put it, that strove for "timelessness." And yet Spade, who was found dead in her Manhattan apartment on Tuesday, was in many ways a woman of her times — a modern-day mogul who brought sly sophistication to the masses, setting a sleek and brightly colored fashion template for a generation of striving women. "She made it desirable for women to have ... her colors, her polka dots, her sense of fun and whimsy," said Eileen Karp, chair of the fashion design department at the Fashion Institute of Technology in New York. "I think [that] is what women responded to. [The items] were feminine, affordable, with little touches that people could embrace and utilize." Spade, who built her namesake brand, Kate Spade New York, into a retail powerhouse with global reach, was the picture of good taste — down to the impeccable bouffant hairdo — who nonetheless refrained from snobbish pretension, blending Midwestern simplicity with worldly grace. "She was accessible and approachable," said Lisa Lockwood, the news director at Women's Wear Daily, the trade publication of the garment industry. "And that helps explain why [Kate Spade] became the must-have bags for teenagers and young women going off to college." The handbags and other accessories that bore her name were both luxury status symbols and functional wares, combining the regal sheen of "Breakfast at Tiffany's" and the Kennedy White House with the down-to-earth demands of daily life. "I think she was thinking about ... what women needed in terms of their everyday lives, whether going out or going to the office," said Hazel Clark, a professor at the Parsons School of Design in New York. 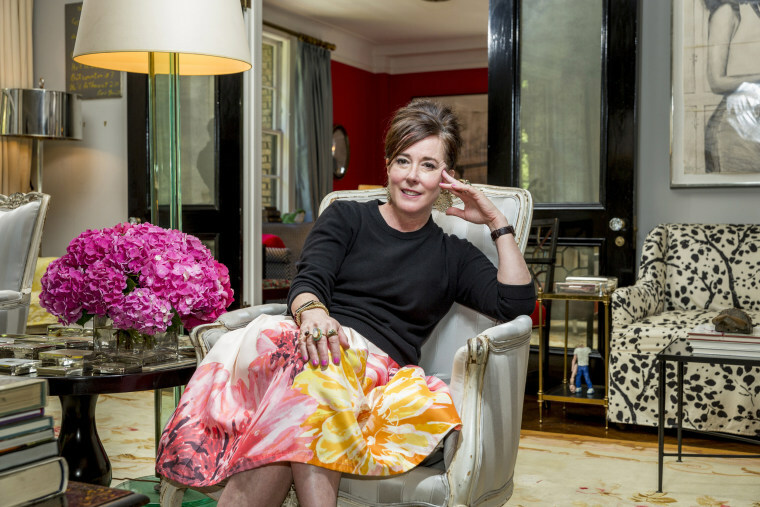 Spade, who co-founded her company in 1993 with her college sweetheart, Andy Spade, whom she married the following year, came on the scene in an age when American accessories were considered drab and unappealing. But with her chic line of handbags — and later an empire that included luggage, shoes and stationery — Spade injected new life into the industry, earning the esteem of cosmopolitan critics and winning the hearts of women from coast to coast. "I think she really enlivened accessories," said Clark, adding that Kate Spade goods combined functionality with stylistic spark. "There's no doubt that she put American accessories on the map." "She was never afraid of color. She used pinks and reds, and just a little bit of detail ... She added character to a bag that set it apart." The Council of Fashion Designers for America praised that particular piece of Spade's legacy, saying in a statement that she had an "immeasurable impact" on "the way the world viewed American accessories." Anna Wintour, the editor-in-chief of Vogue, said Spade had a gift for understanding exactly what women the world over wanted to carry. "She launched her label at a time when everyone thought that the definition of a handbag was strictly European, all decades-old serious status and wealth," Wintour said in a statement. "Then along came this thoroughly American young woman who changed everything." Wintour added that there was a moment when you couldn't walk a block in New York without seeing one of her "colorful and unpretentious" bags. "Kate designed with great charm and humor, and built a global empire that reflected exactly who she was and how she lived," Wintour said. "Long before we talked about authenticity, she defined it." Spade's passing even inspired a rare example of bipartisan agreement: Chelsea Clinton and Ivanka Trump both mourned the news on Twitter. "My grandmother gave me my first Kate Spade bag when I was in college. I still have it," Clinton tweeted. "Holding Kate's family, friends and loved ones in my heart." Ivanka Trump, for her part, tweeted that Spade's death was a "painful reminder that we never truly know another's pain or the burden they carry. If you are struggling with depression and contemplating suicide, please, please seek help."